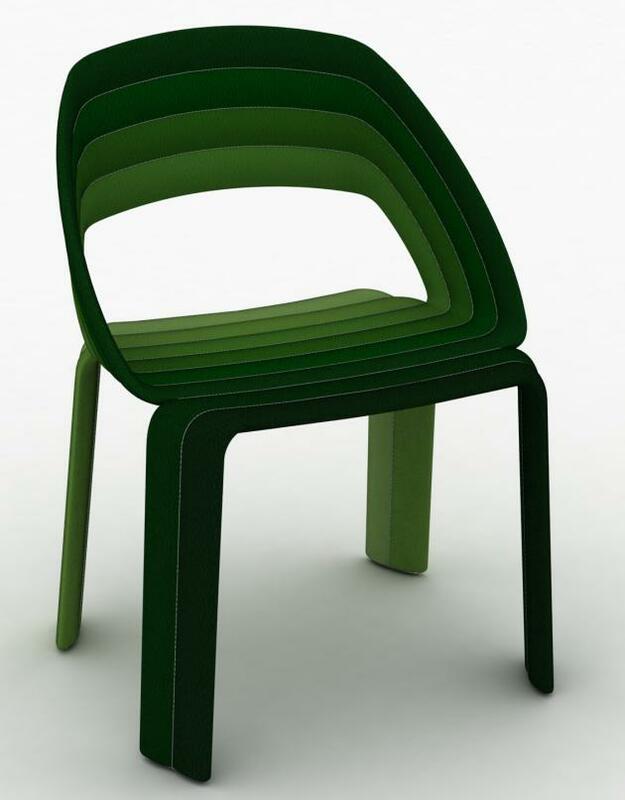 Italian furniture manufacturer Casamania has sent us preview images of the new pieces they will formally introduce at the 2009 Salone del Mobile show in April. The new collection includes seating by Karim Rashid, StokkeAustad, and Luca Nichetto, coffee tables by GamplusFratesi, a cabinet by Wis Design, and modular shelves by Claudio Bellini. Visit Casamania’s website – here. I have taken a great interest in organic form for the last 20 years. I feel a desirous need to soften the commodity landscape as our lives become more casual and relaxed. I want to be enveloped by my Kouch – Ouch! This Kasualism of shape, form, material and behavior are definitely a movement. The technology that affords us to morph, undulate, twist, torque, and blend our world is so ever inspiring to me. 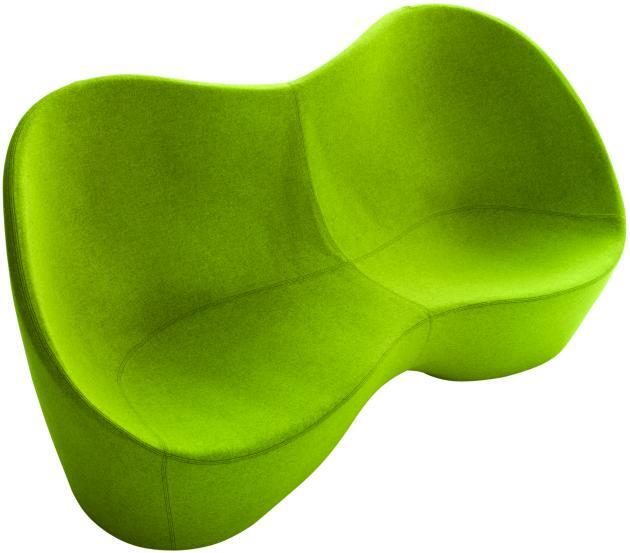 KOUCH and OUCH are my voluptuous organic and ergonomic blobs to continue my pursuit for this New ‘Soft World’ language. 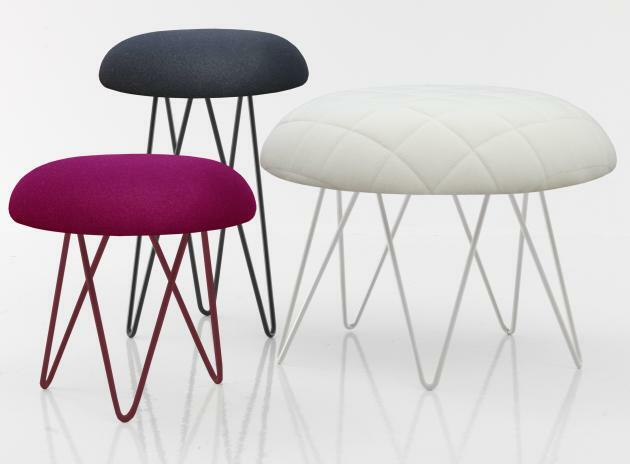 Nuance is a new concept in upholstered seating. Nuance is available in two versions: one designed to be used with a table, and a ‘lounge’ version- lower, wider and more welcoming. The upholstery of Nuance incorporates a subtle range of colours thanks to the careful workmanship involved in utilising fabric off-cuts. Nuance combines a strong ergonomic approach with visual appeal and the hand-made tradition of the master craftsman, giving extra value to the product as well as minimising waste. 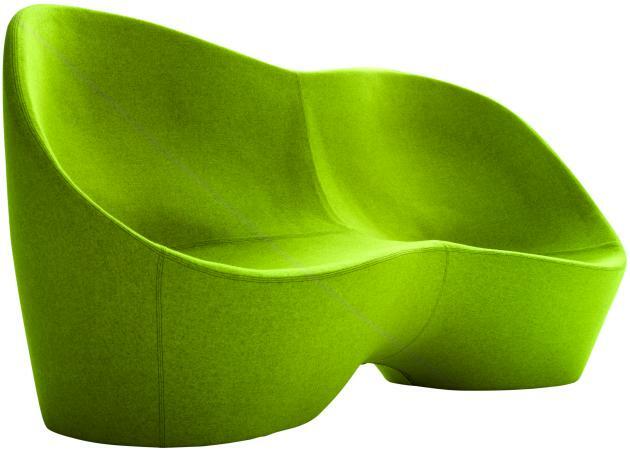 The Lobby Chair was conceived from an idea of creating a product that creates a space for itself. 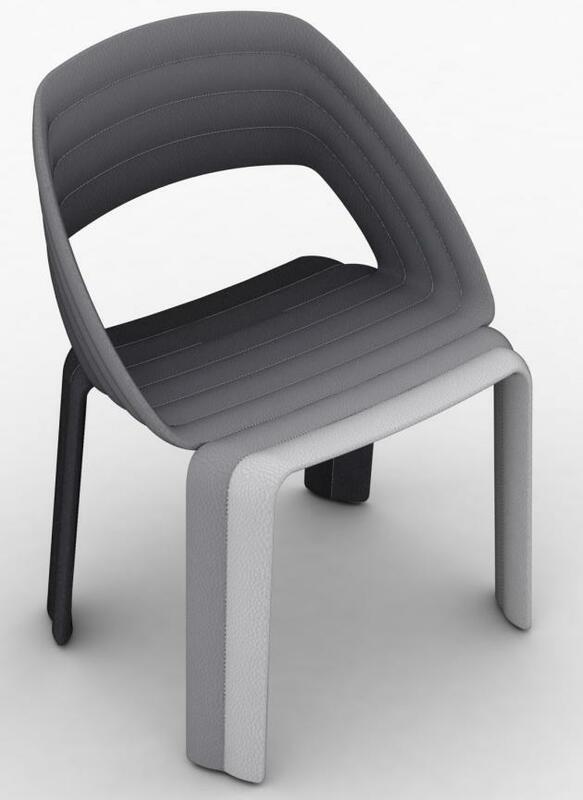 The extruded armrests delineate an area into which the user enters when he sits down. 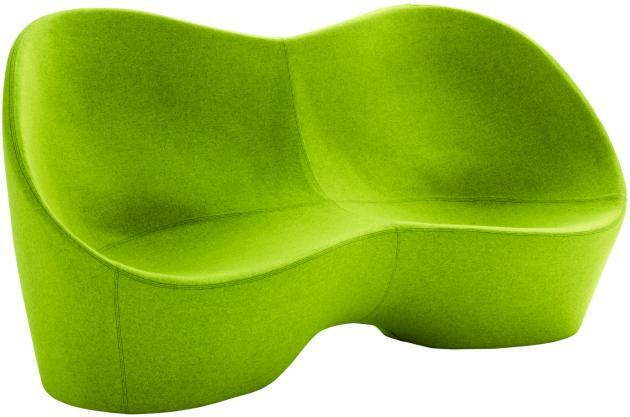 The same armrests also offer comfort and an inviting space whilst adding a distinctive character to the chair. 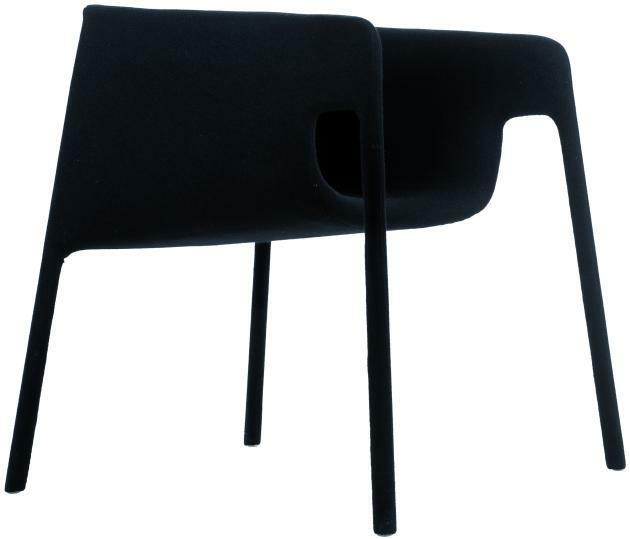 The form of the chair is clear and decisive with a strong profile and clean lines while the inside is softer and moulded to accomodate the user. Meduse are a series of coffee tables inspired by the iconic shape of the jellyfish. The typical soft and smooth body encloses an internal structure, from which the tentacles are suspended. The tables are entirely made of metal; a steel structure with a top crafted from pressed sheet metal. Finishes: polished steel or powder coated in a range of various colours. 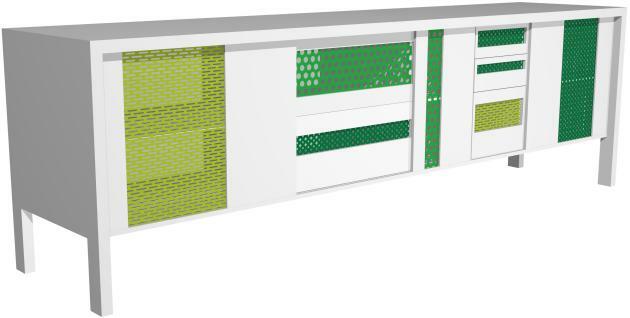 The Patch Cabinet is an example of WIS Design’s love for transforming odd materials into shapes that fit modern spaces. In this case, WIS Design was inspired by perforated sheets metal, a material mostly principally in industrial construction. The perforated sheets transform into ornaments on the surface of the cabinet and bring to mind a myriad of beautiful patterns. In this context the perforated metal assumes the appearance of treasured patchwork or beautiful quilted blanket. The perforated metal sheeting allows for signals from remote controls to reach the television dvd player, or stereo system concealed inside even when the doors are closed. 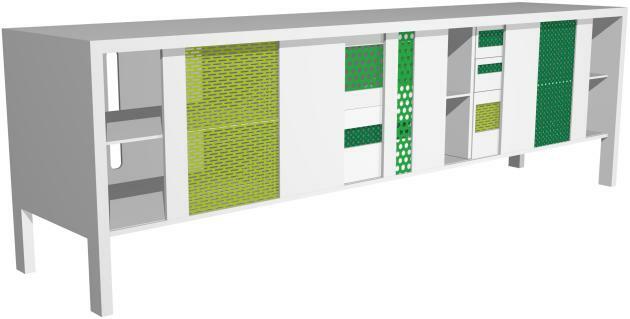 The construction permits air circulation within the cabinet reducing the risk of overheating. The dimensions of the drawers and shelves have been specifically designed to accomodate DVDs and DVD players. The back of the cabinet is also equipped with openings to allow cables to pass through. 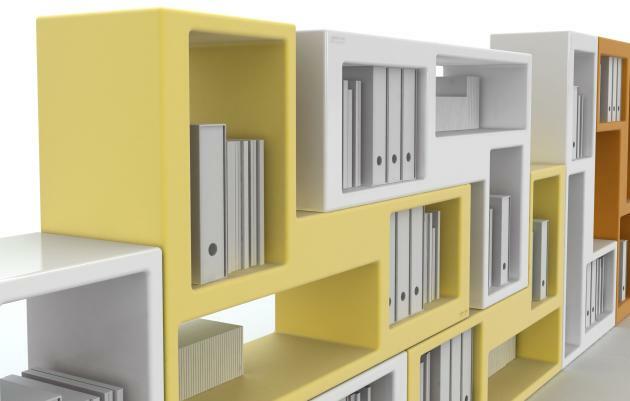 The Urban shelving unit was born from a simple concept: a single module capable of functioning as a bookshelf with the added possibility of adding extra modules to create unique compositions. 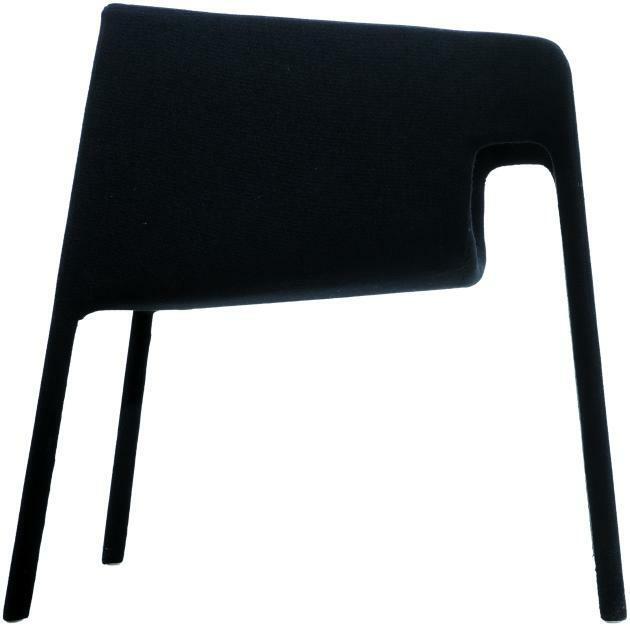 The ‘L’ shaped module measuring 140x 35cm can be used in any position. 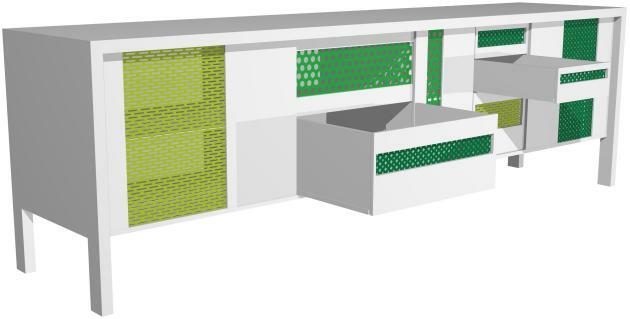 A system without hooks or joins allows the user to create walls, screens, horizontal and vertical elements; angles, benches, entertainment systems – anything at all. The niches carved out of the piece underline the monolithic and solid nature of the Urban shelving unit. A modern piece which stands above the whims of fashion. The infinite possibilities of composition and the a vast choice of colours allow the user to create surprising landscapes and furnish their spaces in a dynamic and bright manner. The apparent simplicity of the Urban shelving unit contrasts with the technical difficulties encountered in the rotational moulding of a plastic object with large flat surfaces.